A complete Scotch whiskey with rich oak and subtle peat tones. 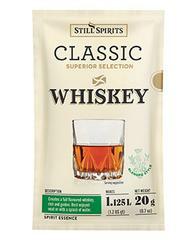 Scotch Whiskey Top Shelf by Still Spirits. A complete whiskey flavour with rich oak and subtle peat tones, very good on the rocks. 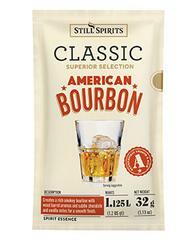 Add this essence to 2.25L (76 US fl oz) of 40% ABV distilled spirit or vodka. 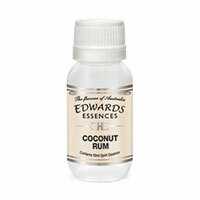 Makes three 750ml (25 US fl oz) bottles, or two 1125ml bottles. Ultimately bottle and store in glass bottles , do not store in plastic bottles. In our opinion, Top Shelf is one of the very best flavours. Finally as with all spirits, if you want to lessen the sharpness of the alcohol, simply add 20mls of glucose or 5mls of glycerine.